As the sun rose over Dallas on March 3, 2014, thermometers read 15° Fahrenheit. Across the state, Texans turned their heaters on full blast as they prepared to head to work. Meanwhile, at the operations center for Texas’ electricity system, ERCOT, operators saw the price of electricity skyrocket. Around 8 a.m. prices jumped to nearly $5,000 per megawatt-hour, more than 100 times the average price of electricity. Though the unusually cold weather caused electricity demand to increase well above historical levels, the power market behaved as intended. Many power plant owners, who know their capacity is typically not needed during this time of year, had their plants offline for maintenance. Thus, when a period of unusually high demand on March 3 combined with relatively low supply, prices skyrocketed, demonstrating the fundamentals of supply and demand. Power plants that were available and able to turn on quickly -- to be flexible -- were rewarded handsomely. As the renewables transition continues apace, flexibility will become increasingly important. Policymakers and investors will need to watch carefully how flexibility is paid for. In a market design like Texas’ “energy-only” market, price spikes are a normal and important event that, assuming no market manipulation, properly reflect the marginal cost of electricity at that specific time. They provide an indication of how much and what types of resources are needed. When spikes happen at predictable times of system needs, like during the summer when high temperatures cause increased electricity demand for air conditioning, they provide a good investment signal for peak capacity. When they happen at unusual times like on March 3, 2014, they provide a crucial investment signal to wholesale market buyers and sellers that more flexible resources are needed for times of stress, on either the generation side or on the demand side. Too many of these unusual “bellwether” events indicate that a system lacks much-needed flexibility, while too few signal a system that is oversupplied (or lucky). Because flexible resources allow grid operators to respond to large, rapid changes in supply or demand, the frequency and magnitude of bellwether events are indicative of the need for flexible resources. In 2014, a handful of these bellwether events provided about 20 percent to 25 percent of net revenues for one typical Texas combined-cycle plant, indicating that the market was willing to pay for flexible resources. But in 2015-2016, the same plant garnered hardly any net revenue from bellwether events due to plant owners keeping their units on-line more often, the addition of new capacity, and milder weather, indicating that there was no longer any need for extra flexibility. How is this relevant for policymakers and investors? Because of the variable nature of renewable resources, which create greater swings in the supply mix over smaller timescales, the number of bellwether events is likely to grow as more and more cheap wind and solar power enters the Texas market. With over 5,000 megawatts of solar projected to come on-line by 2021, Texas is likely to need more flexibility in the coming years. As the market continues rewarding flexibility, the resource mix could change substantially, which would impact the market in other ways. For example, more combined cycle gas plants coming on-line can help address flexibility needs, but will compete with baseload generators much of the year, which could increase downward pressure on already-low wholesale prices. Alternatively, new flexible generation resources like fast-start simple-cycle gas turbines, natural-gas-fired diesel engines, demand-side resources, or energy storage could also respond to bellwether events. These flexible resources would not change the market during ordinary times because they would only be deployed in times of stress when they capture the most value. To achieve the most cost-effective solution, market operators must allow resources of all types and sizes to participate by ensuring the most transparent, accessible, stable, and technology-neutral energy market. To a great extent, the investment signal for flexible resources is well handled in “energy-only” markets like ERCOT. As the need for flexible resources grows, an increasing number of bellwether events will occur; resource developers are likely to respond by building new resources that can capture this value on the spot market and through bilateral contracts with utilities. However, not all markets are structured to reward flexibility in the same way as in energy-only markets. Most U.S. electricity markets have additional payments or requirements outside of the energy market aimed at ensuring reliability. These payments, often administered through a “forward capacity market,” are meant to improve the economics of investing in new power plants and maintaining existing ones to ensure sufficient capacity during times of peak demand. But forward capacity markets have traditionally focused on ensuring enough capacity to meet the peak level of demand over the course of the year, without giving much thought to the relative flexibility of that capacity. The March 3 cold spell in Texas contains a valuable lesson on why looking only at annual peak demand, rather than the need for flexible resources throughout the course of the year, can be problematic. When using capacity markets to ensure long-term reliability, it is not exactly clear what capacity to pay for when procuring “reliability” ahead of time. Reliability means different things at different times, and under different resource mixes. If forward capacity markets strictly reward market participants for meeting system peak demand, as they have traditionally done, market operators may not necessarily be rewarding the type of flexible capacity needed in bellwether events. In theory, energy-only markets like ERCOT in Texas and markets with forward capacity markets should be equally efficient at providing an economical and reliable grid, and should roughly compensate system resources for investing in new flexibility at a similar value. However, forward capacity markets tend to divert revenues from the energy market, diluting the strength of the energy market signal to value resource flexibility. These out-of-market mechanisms have traditionally failed to consider the relative flexibility of capacity resources. 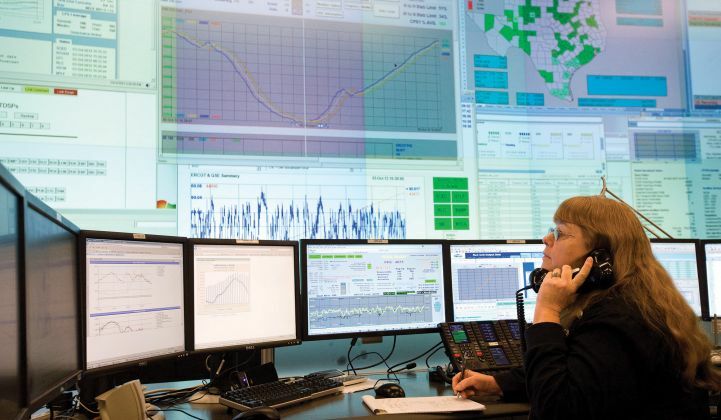 In energy-only markets like ERCOT, after new or upgraded system resources enter the market, they capture the value of the reliability they provide when the system is stressed and prices spike, or by contracting forward with wholesale buyers to provide mutually beneficial risk management. If a resource cannot respond efficiently to short-term volatility, it will miss out on the associated opportunities and will be unable to offer wholesale buyers the risk-management services they need. With a forward capacity market, the principal way to manage bellwether events is supplementing revenues by disproportionately rewarding resources for being available during prescribed periods ahead of time. If a resource fails to produce when called on it is usually penalized, either through forgone payments or directly through a penalty administered by the market operator. In both cases, a system resource that fails to make itself available during periods of system stress, like a bellwether event, is taking a big gamble by missing out on a significant amount of revenue, and in some cases a large fraction of its annual revenue. Resources that can respond quickly during such events avoid the costs incurred by less flexible resources that must operate unprofitably for hours or even days before and after the events to be sure they’re available when most needed. If capacity markets expand their scope from anticipating peak supply needs to ensuring year-round reliability indiscriminately, they run the risk of significantly overpaying for reliability. Paying all types of resources to be available at all times, as opposed to paying just those resources that can more surgically be available in times of system stress, means buying a lot of extra reliability when it is unneeded. Furthermore, overly broad definitions of a capacity product may leave surgical flexibility providers unable to make a profit, even though they could provide significant reliability value. Consider a demand response provider being asked to be available every day of the year for up to eight hours, when the real need is to participate in a handful of bellwether events for three or four hours. One fix involves tweaking the capacity market design to cover a broader definition of system needs, as outlined in the Regulatory Assistance Project’s Hitting the Mark on Missing Money, or by creating a more iterative Staircase Capabilities Market design to support sustained investment through an iterated sequence of long-term, small-volume requests for proposals. In order to meet the flexibility challenge of shifting the future resource mix to cleaner, cheaper sources, energy markets must learn from each other regardless of if they maintain capacity markets. If an energy-only market sees a proliferation of very expensive bellwether events and net revenues from these events exceed capacity payments in other markets, regulators and ratepayers should ask why more resources aren’t becoming available to meet the underlying need for investment in flexible supply- and demand-side resources. Conversely, if capacity markets are paying out relatively larger sums than those energy-only markets pay out through bellwether events, they should question their framework for compensating resources to ensure reliability. In any case, to achieve least-cost reliability in a clean energy future, all markets should be inclusive toward all possible technologies -- including demand-side options -- that mitigate the impacts of bellwether events like that cold morning in Texas.